Gorska Osteopathy has provided 10 years of professional, caring and affordable treatment within Haringey and Hackney. My aim is to provide my patients with quality health care using a friendly and down to earth approach to osteopathy. I strive to make your treatment sessions positive and energetic and provide you with information and support to aid your return to feeling back to your normal self. If you are in pain I am always happy to discuss your symptoms, the possible causes and whether osteopathic treatment may be of help to you. I look forward to meeting you at my clinic. I graduated from the College of Osteopaths and Middlesex University in 2008 where the five year osteopathic training led to the award of a BSc honours degree in Osteopathy. On graduating I am proud to have received the college’s Don Upton Award for academic achievement and was congratulated on my research into ligament laxity and joint instability. My first degree was a BSc Honours in Sport Science and I have extensive experience of both participating and working in sport. In past years I have competed in, as well as coached, a variety of sports including volleyball, tennis and swimming. I am experienced in treating acute injuries including common neck and lower back strains and sporting injuries, as well as chronic conditions which might result from poor posture due to slumping over a lap top or wear and tear conditions such as arthritis or RSI. I am experienced in treating women with pregnancy related pains and have also completed additional training in foot biomechanics, orthotic prescription and kynesio sports taping. 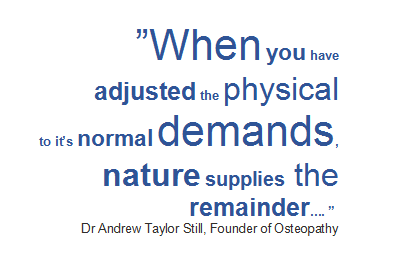 My approach to osteopathy is structural and I enjoy working with the full spectrum of ages from the young to the old. 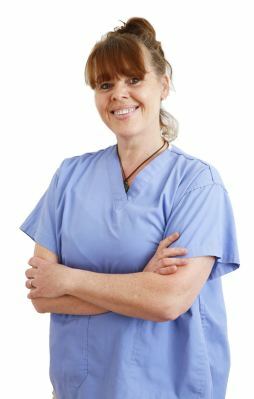 It is of vital importance to me that the treatment plan is tailored with you according to your needs. As well as treating patients from my Hackney and Haringey based clinics I work at The College of Osteopaths assisting with delivering the practical side of the 5 year degree programme to the osteopathy students. I also volunteer weekly as a mentor at the brilliant new osteopathy graduate scheme at CORE (Centre of Osteopathic Research and Excellence) in Clapton Hackney. I am a proud parent, keen commuter cyclist, lap swimmer and ardent dog walker. I’ve known Eva over 9 years I have a chronic pain in my joints and muscles. The treatments and my regular sessions that I have had has made me more flexible. Her treatments are always effective. She is my rescuer when my hips get locks. I will always be extremely grateful that I have met Eva. I’d like to thank her for Friday treatment. I felt less stiffness and less tightness between my shoulders blades. Her price are reasonable and affordable. Having seen many professionals in the past for my back pain, Eva truly has been the best. She knows exactly what my body needs even when I don’t! I always leave feeling better and knowing what I need to do to; she gives very practical and doable exercises She is also a very warm person which makes the experience even better! Each person and condition is treated individually so techniques used may not be the same as the next person or even in your next session. Your follow up treatments take 35 to 45 minutes, and normally between 2 and 6 sessions are required. Many patients decide that they would like to have periodic preventative/ maintenance treatments. What should I wear for osteopathic treatments? I will need to see and feel the area of your body that requires treating. You might therefore want to wear loose, comfortable clothing, such as shorts and a vest, tank top, or sports bra. Your comfort is of the utmost importance, so you will never be asked to remove any item of clothing that you do not wish to. A towel is used to cover you throughout the treatment. It is always helpful if you are able to provide any additional information which could help me understand your current condition. If you are on medication, it is helpful if you bring a list of your current prescriptions. If you have had any investigations, such as blood tests, an X-ray, or MRI scan, and you have a copy of the report then please bring it with you. I will keep in constant communication with you about what I am doing or about to, and will ask you to feedback what you are feeling. If at any point you are uncomfortable or feel too much pain, I will find an alternative treatment approach to the area. Occasionally treatment can leave you feeling some discomfort, especially the next day, whilst your body adapts and processes inflammation. I ask for at least 24 hours notice of appointment cancellation or rescheduling. Cancellation at less than 24 hours notice will be charged in full, except in exceptional or pre-agreed circumstances. I do not support AXA PPP or Bupa insurance policies, however, I am able to provide treatments under most other insurance policies. Your Data Your Data By submitting this form you consent to the usage of your data in order to fulfil your request. We only use your details to contact you. My clinic hours are split between working in Finsbury Park N4 and Clapton E5. I have practices based in Finsbury Park and Clapton and primarily provide services to the following areas: Haringey and Hackney including Finsbury Park, Crouch End, Hornsey, Clapton, Stamford Hill and Stoke Newington. Experienced helping adults with a variety of issues, and has a particular interest in sporting injuries and the management of pain. Copyright 2019 All Rights Reserved. Gorska Osteopathy.